When my friends came to town for a weekend, I arranged a brunch get-together. I decided to go for something a little different than the usual eggs benedict and waffles, so after reading some great reviews on Empellon Cocina, and Chef Alex Stupak's great twist on Mexican food, we went here. Bad decision. At least for brunch. The decor of the restaurant is very plain and cold, there isn't much sunlight in the back half of the dining room, and I couldn't even believe how small the portion sizes were. 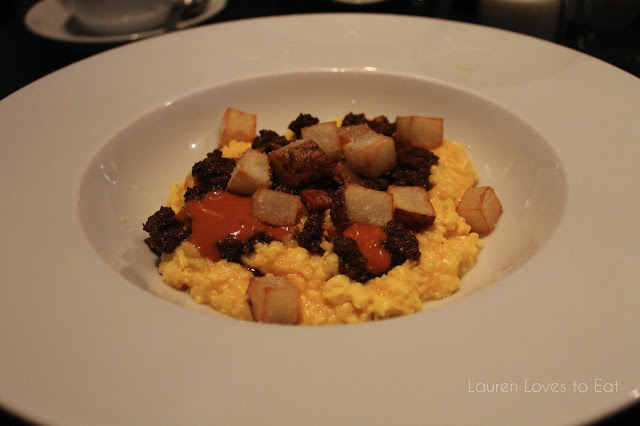 Next time I'm craving a Mexican brunch, I will happily make the trek up to Midtown West for El Centro's. 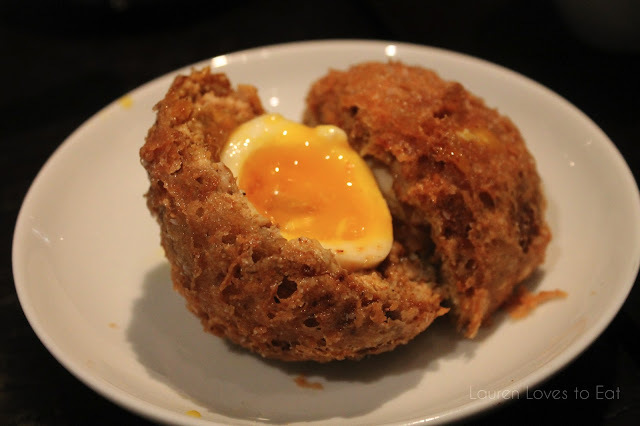 Scotch Egg, $6: chicken chorizo, masa tempura. Delicious! The fried outside was dense and reminded me of a dim sum dish. The egg was perfectly yolky. Order this. Scrambled Eggs, $12: roasted potatoes and crumbled house made chorizo. 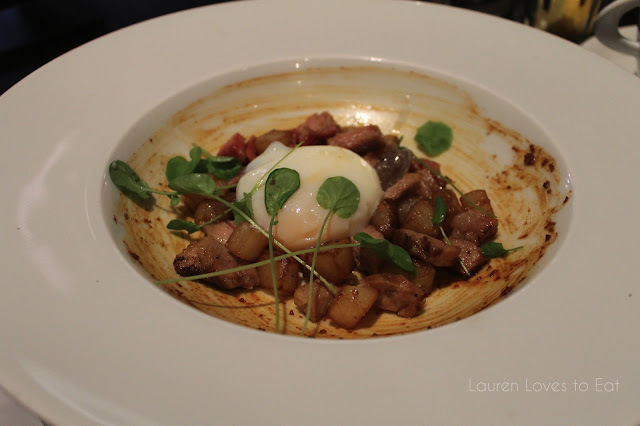 Pork Shoulder Hash, $14: slow poached egg, salsa papanteca. Not the nicest presentation, but this dish was fine. The pork had a good ratio of fat, but this was definitely too stingy of a portion. This should pass as an appetizer size. 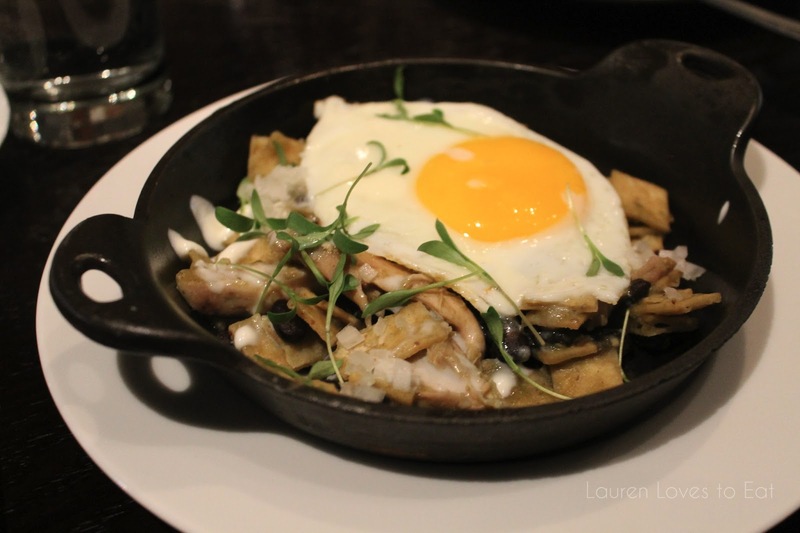 Chilaquiles Verdes, $12: sunnyside egg, chicken confit, black beans. I adore chilaquiles verdes and I was so disappointed with this. Just one egg? Really? The dish was fine but it was gone in 10 bites or less. There wasn't much chicken in it either. It was simply too small. I wouldn't mind if the portion was bigger and the price slightly higher. 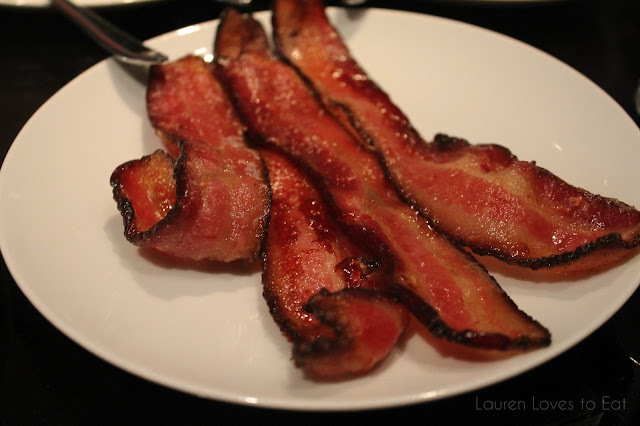 Bacon, $5: Not crispy enough, but at least it helped fill my tummy. Buttermilk-Masa Pancakes, $10: with smoked maple syrup and mole poblano butter. 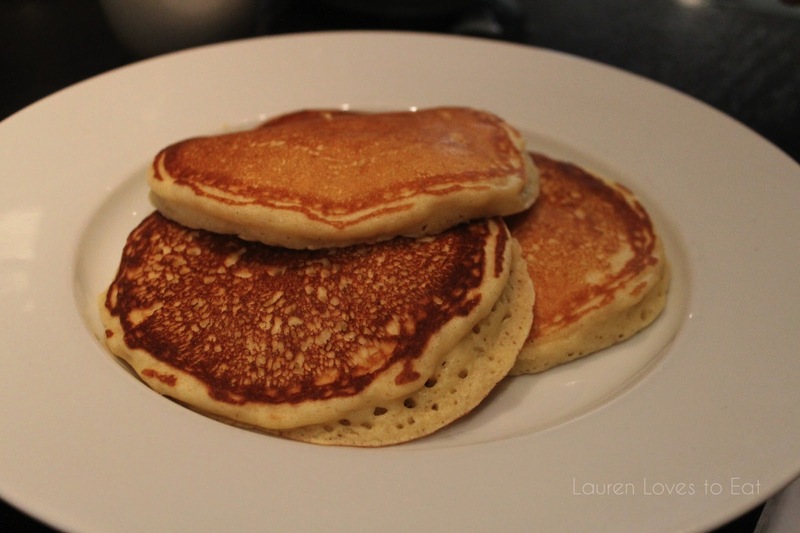 These pancakes were quite soft, fluffy, and not too sweet. Hm I feel like I was full, but maybe it's cause I had 3 pancakes? haha Too bad about yours though, I know how much you love chilaquiles! Mike was hungry too! But I guess he is a Juggy. Sorry your experience was average, I have to try El Centro, sounds like you had fun there.